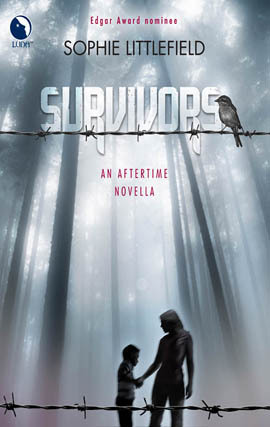 I absolutely loved AFTERTIME, so I was really looking forward to reading this novella. It takes place a month after Cass and Smoke first arrive in the Box, and before the events of REBIRTH. Cass, Smoke and Ruthie have settled in the Box and live a relatively peaceful life. Until a young boy and his dying grandmother arrive, and suddenly, Dor--the leader/founder of this community--has to make a decision of whether to enforce the 'no kids' rule. It's a very short novella, but still captures the essence of Cass and this dangerous, bleak world she lives in. There's some Beater action as well, and some sad moments, but I still enjoyed it. A lot.